Last Sunday, over 20 Kurdish-Swedish candidates from different political parties ran for Swedish parliament-elections. Six of them gain place. Sweden become the first country out-side of Kurdistan where many Kurds are elected as parliamentarian. Brussels, 13 Sep 2018 - Middle East Diplomatic - Last Sunday, over 20 Kurdish-Swedish candidates ran from different political parties for Swedish parliament-elections. Six of them gain place. Sweden become the first country out-side of Kurdistan where many Kurds are elected as parliamentarian. There are around 2 million Kurds lives in Europe-diaspora, over 100.000 of them are living in Sweden. The new six Kurdo-Swedish parliamentarians are from different parts of Kurdistan and member of different Swedish political parties from left to liberal and even to far-right Sweden Democrats as Sara Seppälä, Amineh Kakabaveh (the Leftist Party, Gulan Avci (Liberal Party), Lawen Redar, Serkan Köse and Qadir Kasirga from Social Democrats. Kurdish Barzoo Eliassi, Associate Professor at Linnaeus University in Sweden, who wrote one of the first books on the Kurdish diaspora in Sweden, told Kurdistan 24 that it’s no surprise that so many Kurds were elected. 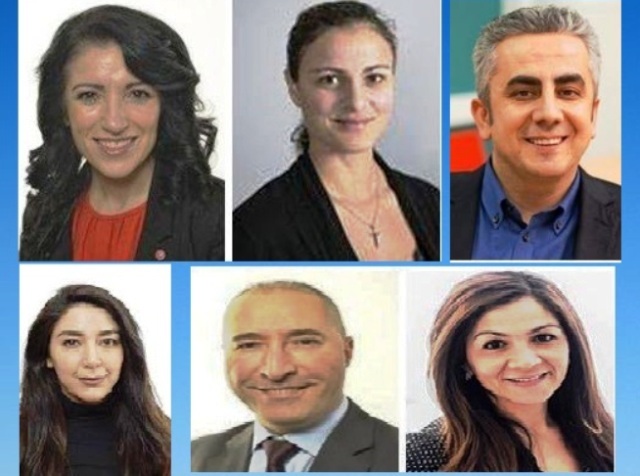 “There is a significant Kurdish diaspora that is highly politicized, many Kurdish figures and animators that can politically mobilize Kurds to vote for these candidates. There is an estimation of 100,000 Kurds in Sweden. They represent themselves as both Swedish and Kurdish. Before, it was more social democracy, the Green Party, the Liberal Party and the Leftist Party that gained Swedish-Kurdish votes. But now there is also a Swedish-Kurdish member of the Swedish Parliament [Sara Seppälä] who belongs to the far-right Sweden Democrats that blazon anti-Muslim rhetoric and wants to end multiculturalism and reinsert monocultural policies that favors ethnic Swedes,” he added. Kurdish-Swedish politicians Salam Qadirzada and Razhan Ibrahim told to Rudaw that “The local politics, welfare system, budget, school policies and tens of other services are related to councils and regions. That is why it is very important to have Kurds in these centers. The Kurds are doing much better than other etnical-nationalities. But there are still some Kurds who are not interested in politic”.